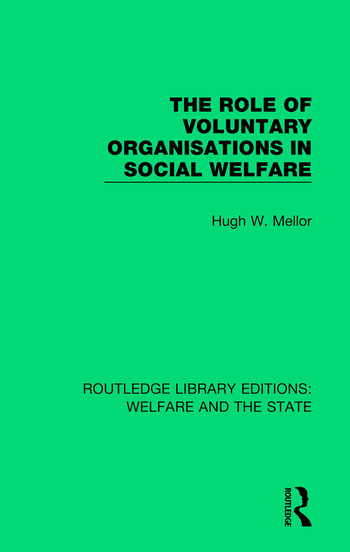 Originally published in 1985 The Role of Voluntary Organisations in Social Welfare considers the voluntary sector as a provider of social welfare. The book asks the fundamental questions for those involved in social welfare: what should the role of this voluntary sector be, and what should its relationship be with the government sector? Reporting on extensive original research undertaken for the Joseph Rowntree Memorial Trust, the study examines the functions, staffing, funding and control of voluntary organisations. It looks at the relationship with the government sector, explores the increasingly important questions of accountability and discusses future prospects.